This episode sees Li Yan Shu try to sign supermodel, Hai Lian Na, to work with New Face. It’s difficult. Hai Lian Na isn’t an easy person to please, especially if you’ve bruised her ego! Li Yan Shu’s plagiarism accusation gets in the way of her talks with the supermodel. Insults go from Hai Lian Na to Li Yan Shu. Gu Cheng Ze doesn’t let Hai Lian Na get away with them, though. He bites back! Secretary Gao comes to this realisation after Gu Cheng Ze tells him that the sketch he had seen as being on lower quality paper, is a photocopy, is without Zhu Dan’s signature and comes to see as actually being a copy of the drawing in Li Yan Shu’s drawing book is the one Zhu Dan presented at the interview for the position of a designer for New Face. Gu Cheng Ze nods to Secretary Gao’s deduction. Zhu Dan plagiarising Li Yan Shu’s design is exactly his meaning. We move away from this side of the story to Hai Lian Na—a character we were briefly introduced to in the previous episode. Li Yan Shu goes to Hai Lian Na with the hopes of signing this popular, but haughty, supermodel to work with New Face. 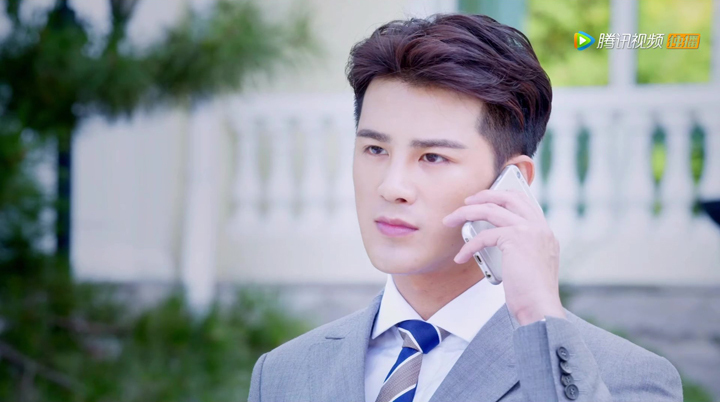 Li Yan Shu switches to speaking to Hai Lian Na’s manager when the proposal she extends to Hai Lian Na is given a moment’s attention before it was left hanging. Hai Lian Na’s manager expresses finding this opportunity to work on Sheng Hong’s New Face worthy of discussing further. A talk with just the two present (Hai Lian Na had stepped out to take a phone call), Hai Lian Na’s manager agrees with Li Yan Shu’s view of the career of a model having a time limit and the opportunity Sheng Hong is giving Hai Lian Na has the opportunity to allow her to transform. Unfortunately, Li Yan Shu fails to sign Hai Lian Na. Hai Lian Na goes from indifference to absolute refusal to working with New Face. The reason: something Gu Jin Yun said to Hai Lian Na during that phone call she stepped out to take. Gu Jin Yun used Hai Lian Na’s proud personality and sore spot to sabotage the talks. 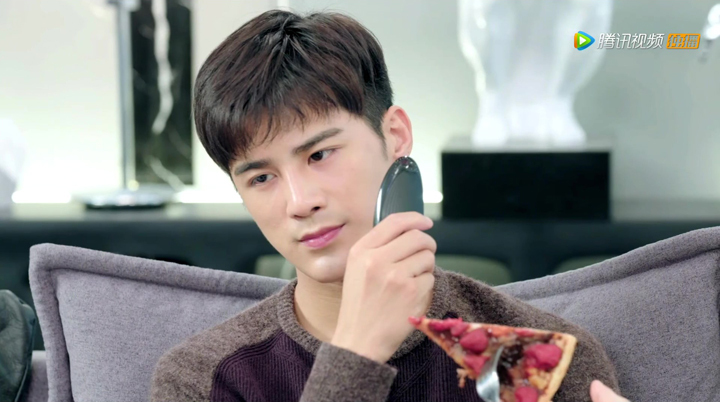 Li Yan Shu comes to realise Gu Jin Yun had done something to create a misunderstanding between her and Hai Lian Na when Gu Jin Yun shows up after the meeting to pick Hai Lian Na up. When he arrives, he asks Hai Lian Na if she could leave now. 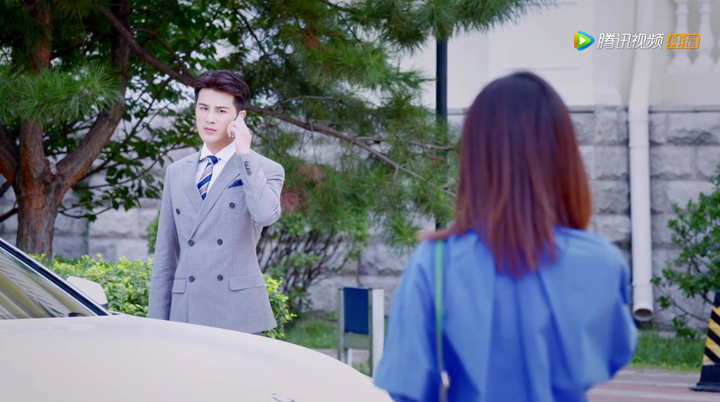 As he leaves with her, he makes a face at Li Yan Shu for the confused, maybe bewildered, stare she directed at them. 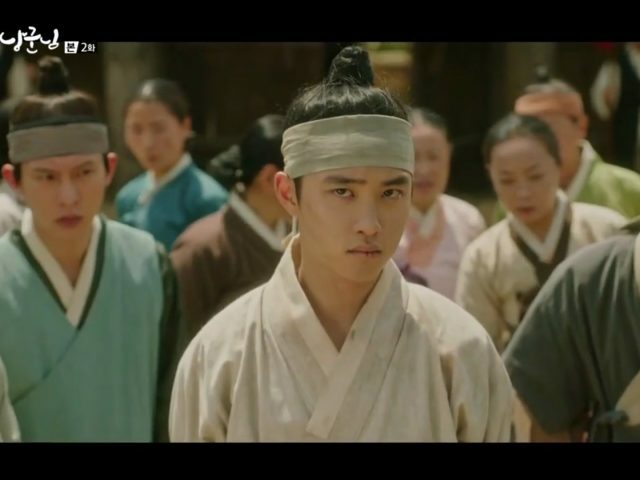 With this, Li Yan Shu was able to sense the change in Hai Lian Na’s mood had something to do with Gu Jin Yun. 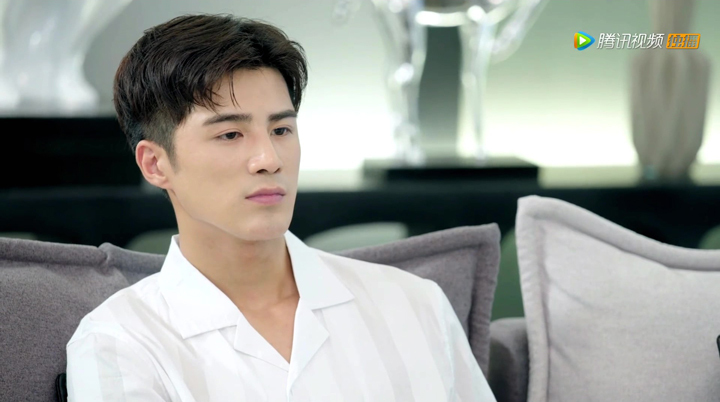 Li Yan Shu becomes determined to sign Hai Lian Na after Gu Jin Yun goes to the product design department to see her—looking pleased with himself and teasing her on her failed talks with Hai Lian Na. She seeks Gu Cheng Ze for help. She requests for him to accompany her tomorrow to a location where Hai Lian Na is filming a reality show. Li Yan Shu tries to have Gu Cheng Ze agree with cooking him food (something she says she never does; therefore, indicating she’s being super nice); persuading him with saying he gets to see a beautiful star; then expressing what seems to be the concern she has: she fears her person isn’t enough to sway Hai Lian Na to sign. However, Gu Cheng Ze decline to accompany her. It doesn’t work, either. Gu Cheng Ze says this problem with Hai Lian Na is due to Li Yan Shu’s inability to settle the talks. Li Yan Shu rejects that. The next day, we see Gu Cheng Ze accompany Li Yan Shu to see Hai Lian Na. The both had trouble getting pass the front door guarded by security personnel. She manages to get herself and Gu Cheng Ze through the door through Li Yan Shu acting as a pregnant woman suddenly having stomach pains and needing a place to lie down. Gu Cheng Ze leads Li Yan Shu away. But, Hai Lian Na, dissatisfied with the words Gu Cheng Ze said about her, she commands him to stand still and ask again who it was that had an exterior appearance. Gu Cheng Ze doesn’t hold back with more words that anger Hai Lian Na. Hai Lian Na is therefore left hysterical. She breaks things in the room. Hai Lian Na’s manager manages to calm her down and has her begin thinking about the opportunity with a level head. Li Yan Shu isn’t impressed with Gu Cheng Ze’s handling of the talks. She wants to head back in to apologise. Gu Cheng Ze asks Li Yan Shu how she’s able to take the insults and be called a plagiariser. Not noticing the hint Gu Cheng Ze just gave of a change of view he has of her being a plagiariser, Li Yan Shu says she doesn’t care about being shameless. If she is able to reach her goal, she will be shameless. She does, however, remind Gu Cheng Ze who it was who had called her a plagiariser first and says that she can take Hai Lian Na calling her a plagiariser when she could take him calling her a plagiariser. Li Yan Shu makes a move to head back in to apologise to Hai Lian Na by herself. She’s stopped, though. Gu Cheng Ze threatens to not allow Li Yan Shu to come home if she does. 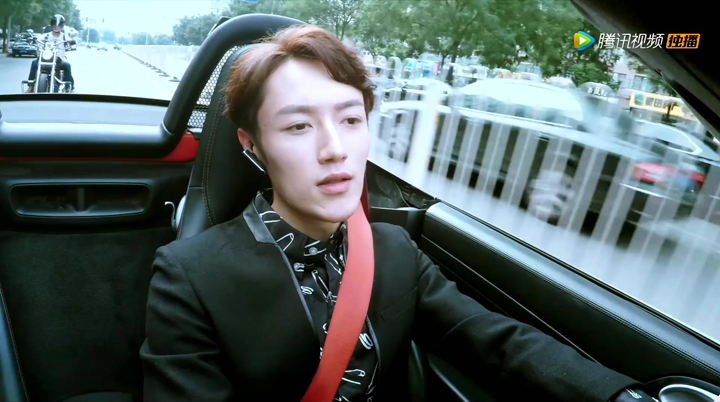 And so, we see Li Yan Shu driving and heading home. With the sky turning black and being low on petrol, however, Li Yan Shu feels they should find a place to rest. Gu Cheng Ze disagrees. He feels this is Li Yan Shu finding ways to go back to negotiate with Hai Lian Na. He commands Li Yan Shu to continue driving home. They end up going to a hotel where Li Yan Shu seeks a room for them both to stay for the night. Gu Cheng Ze isn’t happy about the low quality of the hotel, however. A few moments bickering with Li Yan Shu about the quality of the hotel and not wanting to stay, Gu Cheng Ze walks out. Li Yan Shu finds a gift on her drawer after she comes home from work. It’s from Gu Cheng Ze. It’s a new phone he bought for her so he can reach her 24/7. (This seems to be in response to the situation where Gu Cheng Ze needed to reach her to talk about the failed product designed by Zhu Dan, but found no number to contact Li Yan Shu which we saw in Episode 7). Li Yan Shu was happy until Gu Cheng Ze explained that she’s paying it with her salary. Geez. Knew it was too good to have Gu Cheng Ze buy a gift for Li Yan Shu! :o( :o(. Bummer. Hai Lian Na receives a call from Gu Jin Yun in the middle of the meeting she has with Li Yan Shu. 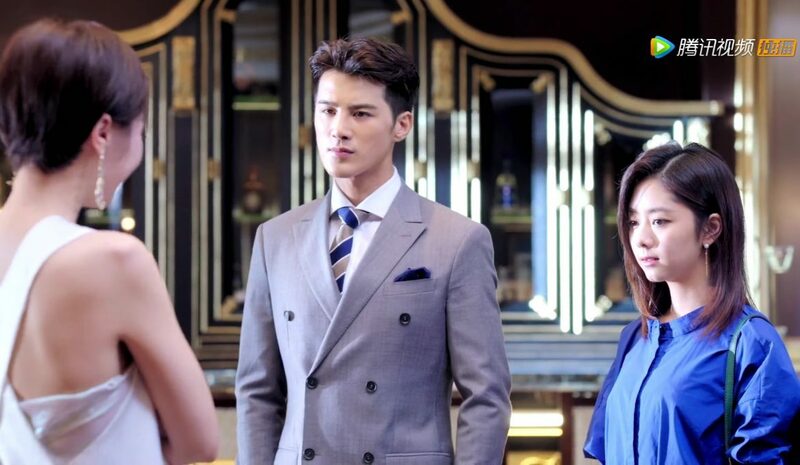 Gu Jin Yun ruins the talks to sign Hai Lian Na to work with New Face with a lie of her being second choice for the proposal. First choice was her archenemy. Li Yan Shu pleads Gu Cheng Ze to accompany her to see Hai Lian Na. Gu Cheng Ze had no desire to until Li Yan Shu lets him know that someone had caused a misunderstanding that made Hai Lian Na decline. Gu Cheng Ze agrees to accompany her. Li Yan Shu uses a trick to get through the door to see Hai Lian Na. Hai Lian Na doesn’t want to work with New Face because Li Yan Shu is a plagiariser and comes up with saying Li Yan Shu is wanting to direct some of her good reputation into herself as a reason for coming here and wanting her to endorse New Face. Gu Cheng Ze stops the talks and directs some harsh words of his own to Hai Lian Na. Gu Cheng Ze doesn’t want Li Yan Shu to go apologising to Hai Lian Na :o) :o). This was a scene we saw as Gu Cheng Ze saying that Li Yan Shu was wanting to do too much this time—as opposed to the last time with Zhu Dan’s failed product where she didn’t do enough in her job to prevent the bad outcome. We like!